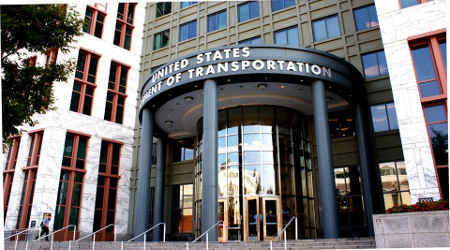 The U.S. Department of Transportation will announce some of its 2017 round of FASTLANE grants "soon," while other project applications will be re-solicited before more grants are issued, according to a report by the American Association of State Highway and Transportation Officials. The AASHTO Journal cited comments by James Ray, the USDOT special adviser on infrastructure, who spoke last week at the association's spring meeting in Portland, Maine. Ray told AASHTO's board that the USDOT would soon announce some awards based on applications filed this year and would re-solicit applications for some projects. He elaborated on U.S. Transportation Secretary Elaine Chao's recent remarks made May 17 at a U.S. Senate hearing. In a response to a question from U.S. Sen. Jim Inhofe (R-Okla.), Chao said a first "tranche" of FASTLANE grants would be released soon, "and then we will be taking a look at others." Last year, then-U.S. Transportation Secretary Anthony Foxx solicited applications for $850 million in fiscal-year 2017 grants under the Fostering Advancements in Shipping and Transportation for the Long-term Achievement of National Efficiencies (FASTLANE) program. The grant program was established in the Fixing America's Surface Transportation Act in 2015 to fund critical freight and highway projects across the nation.